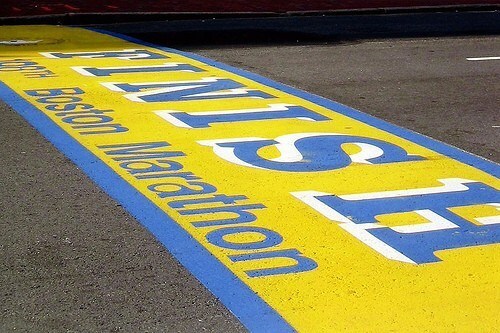 It is a sad day to be writing to you about the bombings in Boston just yesterday. Nuts to know how much these runners prepared, how excited their friends and family were to spectate–all to end in pandemonium. Nothing shines brighter than the volunteers and serviceman who risked their lives to help the people affected. My thoughts are with those who were lost yesterday and anyone affected by these events. Don’t let fear consume your adventures in health and fitness. Run…be free and happy. 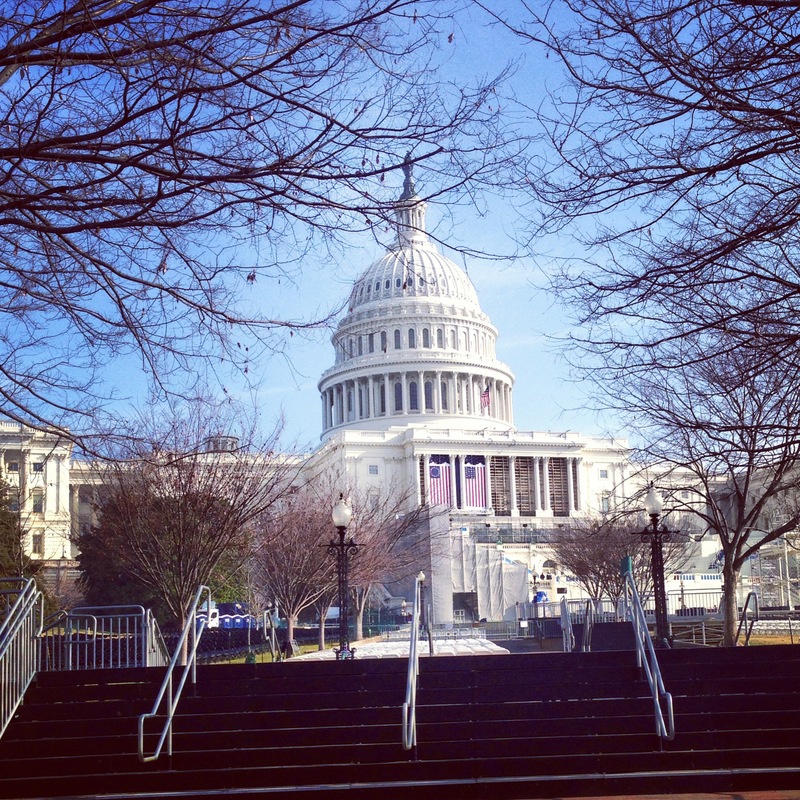 We live in a great nation–and the good definitely outnumber the bad. MIAMI, FLORIDA. 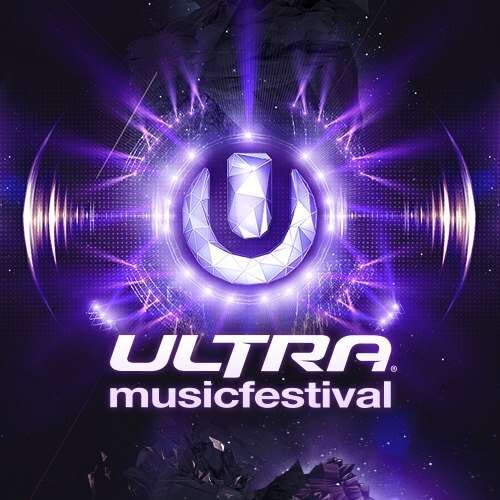 Ultra Music Festival. Aka probably one of the best times you will ever forget….Although I can’t go this year I jammed out to a bunch of new music at the gym while wearing obnoxious neon workout clothes…it was almost like I was there. There are a few things that really motivate me to workout. Some large muscular guy like Shaun T yelling at me to “LETS GOOOO” or music. For the majority of the time music is the best way to push me harder or make me work longer. I probably made a fooool out of myself at the gym today jamming out to this music but I got a killer running/spinning workout. So I hope you enjoy the playlist, comment if you seem to like/hate these songs…I enjoy hearing your thoughts!!! 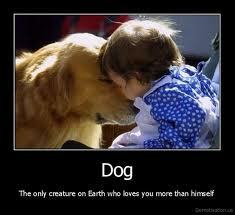 ^^ SO TRUE, I love dogs. 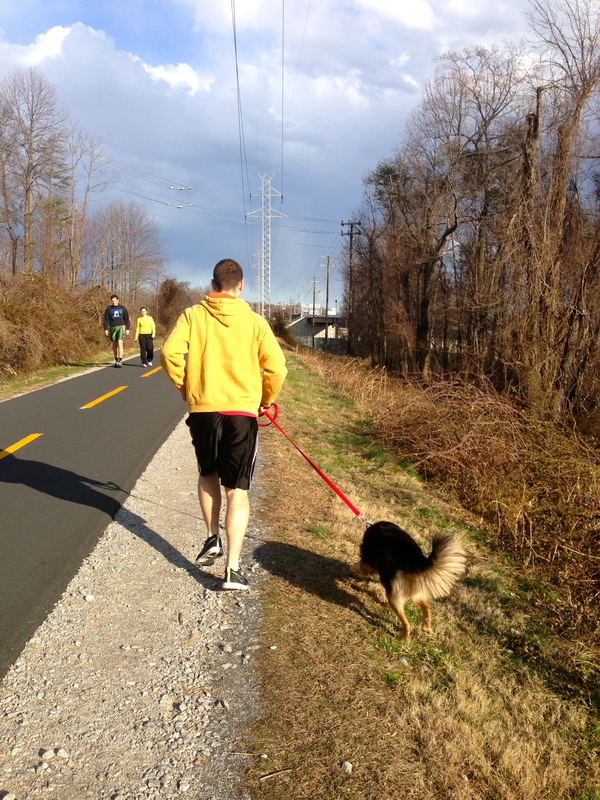 Anyways, there’s a trail that runs from Leesburg, VA all the way to DC so we decided to take the pup for a ride and find the trail close to our house. Finley is just about a year old now (in 2 weeks!) 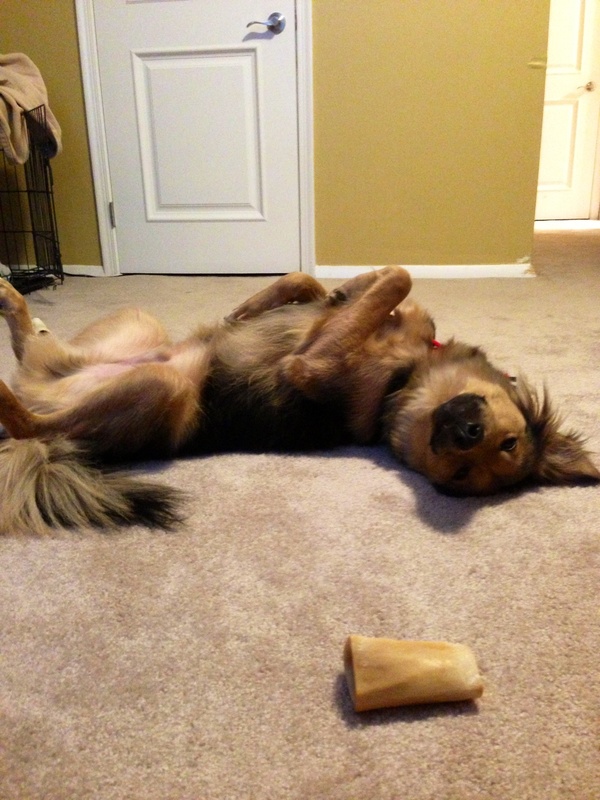 and loves to be active…buuuuut, he has never gone for a 3+ mile run outside. So this was quite the experience. 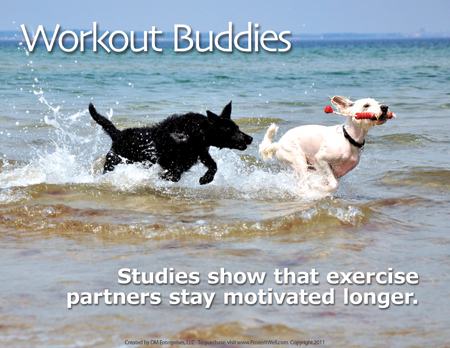 Dogs are a great way to stay active or become more active if you are sedentary. Bottom line is they need to go out. That might be the sole reason you get off the couch to walk them around the block and before you know it you’re getting back into shape too! Not only that, dogs are definitely the best companions ever. I wouldn’t trade our dog for the world; he’s the best! After 2-3 miles in Finley is completely exhausted. I was on such an endorphin rush from the weather and the run that I wanted to push on for another couple of miles or so but we knew he had to go home. If you were considering looking for a pet in the future I would recommend adopting an active breed to help you in your pursuit of health and fitness! Here’s a link to find pet shelters in your area, click here. Get up and get running! Try to enjoy the beautiful spring weather before the heat of summer comes. “A spoonful of sugar helps the medicine go down” Negative. Did you sing that title in your head of the Mary Poppins Song? I did when I wrote it. Wooops! I hope you have had a great time celebrating St. Patrick’s day — and have taken the time to plan out your workouts and food for the week. It always helps to plan! 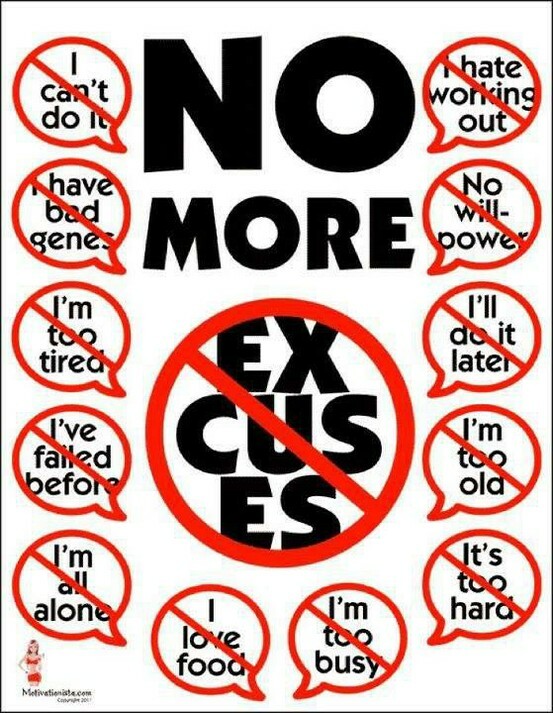 Remember to follow me on twitter @fitfloridian for more posts and motivational pictures. I also take pics of what I eat on there so sometimes it acts as a food log (which I will start doing as well thanks to Jay’s recommendation!!!). So my boyfriend and I decided to do a sugar detox before we visit Florida a) because we were drinking a lot of WINE (sugar) and b) it’s a great way to trim up c) it’s healthy!!! He also opted to give up coffee, unlike myself. Goooooo him! I have posted in the past about the detrimental effects of sugar. Abnormal cell growth is largely linked to sugar intake–including all diseases, cancers, illnesses, etc. 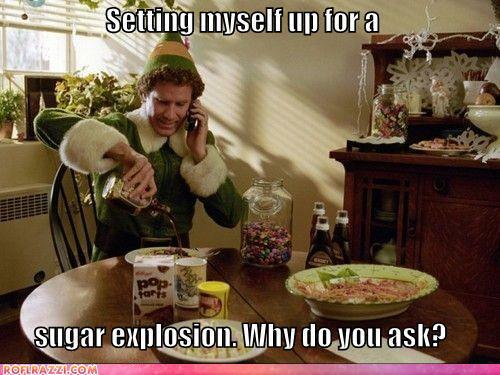 Essentially, sugar is the bane of my existence. Today, it is consumed in more quantities in the U.S. than it has ever been in the past. A scary truth is that it correlates to the widespread increase in our nation’s health problems. Then why does it continue? And why is it escalating to insurmountable highs? IT IS IN EVERYTHING. Obviously companies want to sell their products. They market to a specific demographic and cater it to their needs. Kids, for example, are fed juice boxes, gummies, cookies, ice cream, and candies–all with unbelievable amounts of sugar. In addition things that are deemed “healthy” “all natural” etc etc can at MOST times be completely unhealthy. Look at the ingredients!!! My advice is to be aware of what you’re consuming. Always look at ingredients. 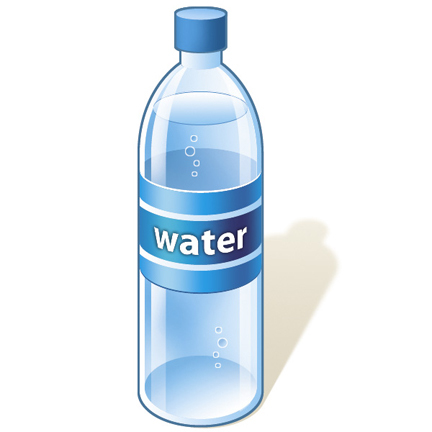 Try to have as many REAL, NATURAL, WHOLE foods as possible that possess their own sugars (nothing added). 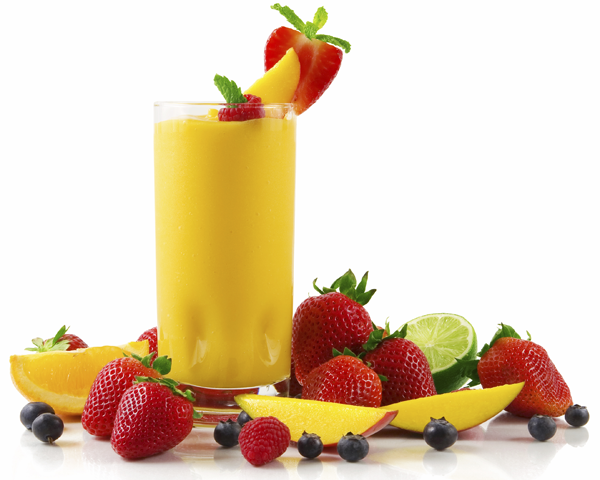 Fruits and veggies should be at the CORE of everyone’s diet. Remember to be smart about what you eat! Have you ever used any of these? I don’t feel so well today. I worked out so much yesterday. I look pretty good, I guess. I just ate and don’t want to get sick. I start on Mondays only. Today is my cheat day. If I am craving ice cream…it means my body needs it right? WELL HERE IS THE CURE. My mom is probably the best workout buddy there is…her friends will text her and be like “i didn’t fall asleep until 3am last night and only slept for 3 hours…” and her response “wow, guess our morning walk will be a great energizer for you” and nevertheless they end up doing their daily 4-5 mile walk/run–AND they are happy they did it. It’s good to have a partner in crime to work out with because they hold you accountable. Maybe a little friendly competition to push yourself. Or just someone that will show up to the Zumba class with you and equally make fun of your talented dance moves or lack thereof. Sometimes it’s just helpful to have someone to share in the soreness. This is why group fitness classes are one of my favorite ways to work out–they push you and everyone is equally working hard. 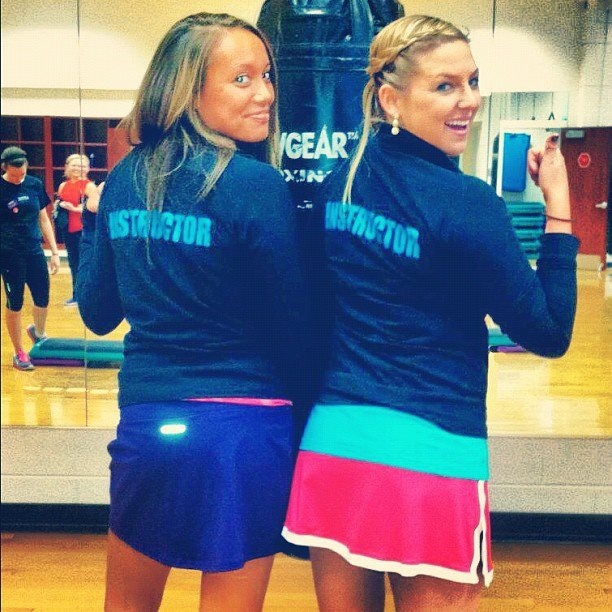 My best friend Keala and I instructing a class together at JMU. One of my favorite workout buddies! So grab a workout buddy and plan 2-3 times a week you guys get together to take a hot yoga class, run around the neighborhood, or venture into the weight room together. 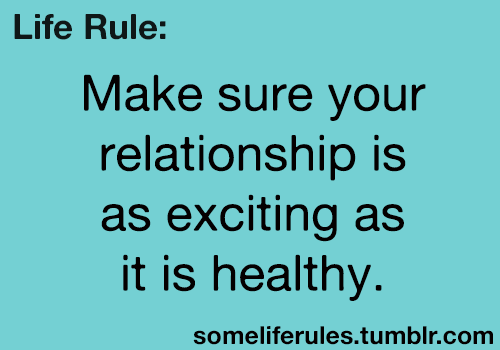 You will have fun, love the endorphins, and become more fit!! Remember me? and some eggplant. Good news: In August I moved back to Virginia to live in the DC metro area… surprisingly one of the healthiest and most active populations in the country! I work here now and have a very balanced and happy life. But I found I really missed writing so here I am once again. ALSO I MISSED SHARING RECIPES. 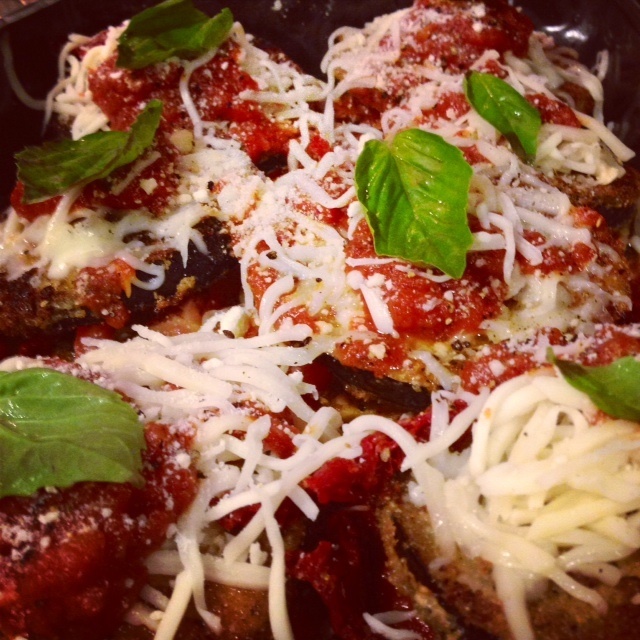 Here is my version of healthy baked eggplant parmesan with fresh basil and sun dried tomatoes. FYI this recipe might seem like a pain in the glutes but it is SOOOO worth it!!! 1.) I began by slicing up the eggplant…you want to try to get the slices about 1/4 inch thick and all about the same size so they cook at the same rate. 2.) Then I have two bowls– one filled with a cup of flour, the other filled with an egg wash which is the egg, milk, splash of water to thin it out and then whisked to mix it all together. 3.) Beside the bowls I have a large plate with the italian seasoned bread crumbs and the pepper and salt. 4.) Dip the eggplant into the flour to begin, on both sides. 6.) The slice is then put on the italian breadcrumbs and flipped so both sides are covered. Then the pepper and salt are ground on top of each side. 7.) The slices are put onto a baking pan and drizzled all over with olive oil –and put into a broiler. 8.) 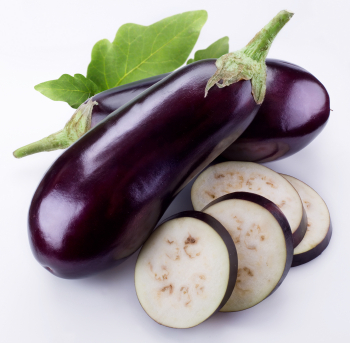 The amount of time you broil or bake the eggplant in the initial process is up to you. It took me about 10 min each side before the eggplant was golden enough for me to finish the prepping. Golden on both sides is the goal–I even prefer a little brown. 9.) During the broiling process I minced garlic, sliced the tomatoes and mozz, and rinsed the basil. 10.) In my baking casserole dish I drizzled tomato sauce into the bottom with some minced garlic. 11.) I took slices of eggplant (about 6) and covered the bottom of the dish. It’s ok if there is glass of the dish showing. 12.) I topped the slices with a spoonful of sauce, a slice of tomato, a slice of mozzarella, some garlic, and another slice of eggplant. 13.) On top of the top layer of eggplant I drizzled tomato sauce, sprinkled the sun dried tomatoes, shredded mozzarella, crushed pepper and salt, and a piece of fresh basil. 14.) I put the rest of the sauce in between the eggplant to serve as a sauce on the side of the dish. 14.) Finally I heat the oven the 400 degrees and cooked the eggplant for about 25-30 minutes covered in foil with the shiny side face down. Then I cleaned up the tremendous amount of flour all over my nike workout shirt and kitchen floor. Happy Weekend…so I have been seeing my physical therapist on the reg lately for my malfunctioning ankle (anyone willing to donate a new one? )… and he suggested after “analyzing” my back which was really an awkward back rub …that I should definitely go get a massage. Deep tissue. Hot stone. The works. Now lemme tell you a little something something… I don’t have enough time to sleep let alone dedicate time to get a massage. But I am turning over a new leaf and actually taking the advice given to me so I made an appointment. I heard my name called and looked up. Standing in front of me was a very large man. And by large I mean this guy was at least 6’2″ and 250+ pounds with a small black curly pony tail. Meet Francisco. Apparently he had the best hands of the place and came highly recommended. Needless to say as a 22 year old female I was a little timid but my excitement of ridding my back of some knots surpassed my hesitation. He directed me to a room where I was asked to “prep” for the massage and left abruptly. I contemplated what the policy on massage was these days? I’ve heard some people like to go full on naked. I didn’t choose that option. I was told to start face down so I snuggled underneath the sheet and waited patiently. I heard a soft knock and when he came in he sprayed some form of aromatherapy spray that was supposed to calm me. Great. I could probably drink that stuff and still not have been that calm. But he encouraged me to take a few deep breaths before he began and soon enough I started to feel my muscles loosen. His hands were warm and his voice was soft and within moments I was completely at ease. Wow. His hands were a cross between an angel and Arnold Schwarzenegger. 10-15 minutes into the massage I think I told him I loved him. He laughed. Apparently he gets that a lot. I wondered why he became a masseuse and learned his daughter has a condition that is benefitted by massage. I said this was really his calling because I’ve never had a massage like this. He questioned my amount of physical activity and stress and said I have one of the worst backs full of knots he’s seen in a while. Apparently I should do more things to de-stress and I agreed to get a massage once a month. He did say he could tell I was a yoga teacher when he stretched my legs over my head. 🙂 A full 90 minutes completely receiving something is exactly what I need according to him. Francisco. My amazing masseuse. I started to slip away into the melting sensation that comes with a massage. I woke up a few moments later to his laugh. In my daze I hired him to be my personal masseuse when I became famous one day. Jeez what did they put in that aromatherapy spray? Before I knew it 90 minutes had passed by and I was jello. He left the room after telling me to slowly get up and get dressed. Good thing he said slow because as I got up my head spun and my legs buckled. Now I know why people got massages. They made you feel 100% relaxed and at ease. Mhmm. On the way out I wanted to hug him and thank him for seriously making me feel so much better. He told me to take care of my body, drink lots of water and schedule an appointment for a month later. I bought a package: one massage a month for a year. Finally doing something for myself that would help me perform better in my daily activities. Today was an important lesson for me: it’s great to give and give and give to the world in your work and with your friends and family but at some point you should slow down and dedicate time for yourself. If you don’t appreciate your body and nurture it, it will begin to deteriorate and give out on you. If you are someone who does a lot of physical activity or has a high stress lifestyle a massage a month is the minimum recommendation. Look for places in your area that offer some sort of package so you don’t need to break the bank in order to treat yourself. 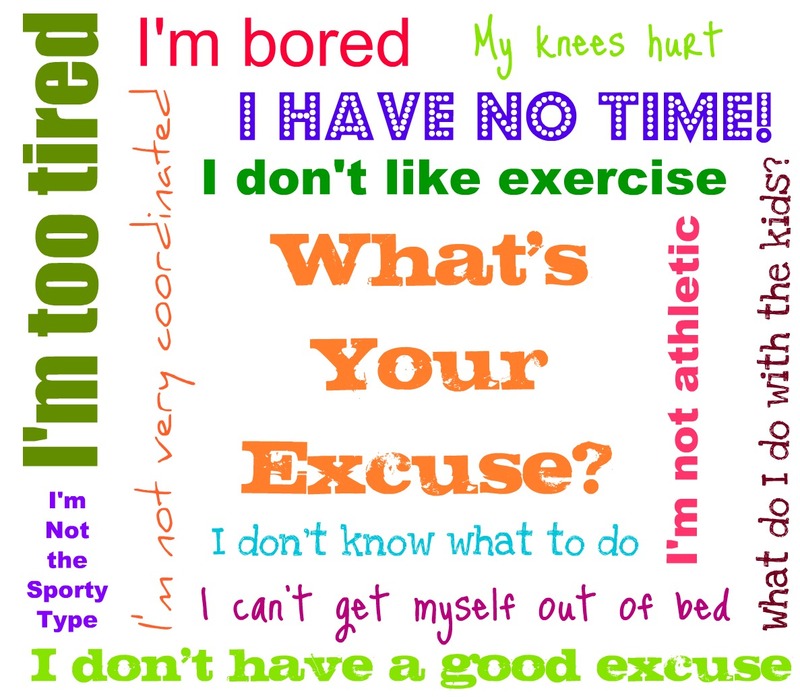 Start to make a commitment to yourself that you will honor your body as it serves you each day.